For newly hired employees employers, including individual entrepreneurs, must obtain the employment record in accordance with the rules of work books. If the employee has previously started work-book, but for some reason he did not submit, at the request of a specialist is permitted to issue a new work, but to make a record of previous jobs to make it is not necessary. - record of work books. Take a blank work book. 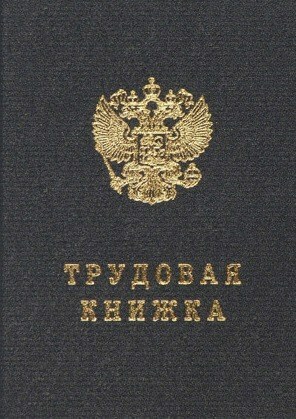 On its title page enter the surname, name, patronymic of the employee in accordance with the identity document. Specify the date and place of his birth. Write the status of education (higher, secondary, vocational secondary, vocational secondary, higher vocational) of the employee in accordance with the document on education (diploma, certificate). Specify the name of the profession received during training at an educational institution. Enter the actual date of completion employment record. Signature of the person responsible for recording and maintaining labor books. Ask the employee to sign in the appropriate field. Put the ordinal record number. In this case, it corresponds to a unit. Specify the date of hiring the employee. In the details of work enter the full and abbreviated name of the company in accordance with the constituent documents or a surname, name, patronymic of a physical person in accordance with the identity document, if the organizational-legal form of organization – sole proprietorship. Specify the fact of employment. Enter the name of the position adopted by the specialist, in accordance with the staffing, the name of the structural unit. The basis of the record of employment is an order. Enter the case number and the date of publication. In the case of dismissal of employee with the organization in the details of work enter the fact of the dismissal, citing the Labor Code (conditional dismissal: own desire, the agreement of the parties, and so on). In the grounds indicate the number and date of issuance of the order of dismissal. The dismissal entry shall be certified with the company seal and signature of the person responsible for the maintenance and accounting of labor books. To acquaint with the record of the employee should be under the painting. Register a new work book in the book of registration of work books. Enter its serial number, date of issuance and date of issuance. Specify the name of the employee and issue him a work book for dismissal under the painting.